US Attorney General Jeff Sessions is not ruling out an independent investigation of the Department of Justice under the Obama administration. Sessions expressed an openness to a third-party investigation of the DOJ under Attorney General Eric Holder and his successor Loretta Lynch in an interview with conservative radio host Hugh Hewitt on Thursday. Hewitt claimed that some scandals were under-investigated, such as alleged discriminatory behavior by the IRS against Tea Party and conservative organizations, as well as the Bureau of Alcohol, Tobacco, Firearms and Explosives (ATF) decision to sell weapons illegally in order to trace them to Mexican drug cartels. While Sessions did not shoot the idea down, he did not commit to it either. Former Attorney General Holder declined to press charges against either the IRS or the ATF, and was highly scrutinized by Republicans for doing so. Sessions’ perceived willingness to have an open investigation into the Obama administration was harshly judged by some, since he initially refused to recuse himself from an investigation of alleged Russian meddling in the 2016 election and by extension any ties to the Trump campaign. 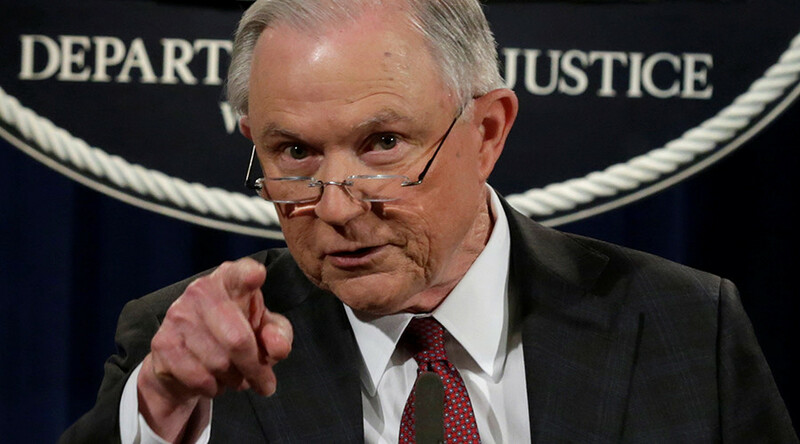 Sessions, former US senator for Alabama, recused himself after it was revealed that he had met with Russian Ambassador to the US Sergey Kislyak in 2016, which he did not mention during Senate confirmation hearings. He had denied meeting any Russian officials during the Trump campaign, but eventually amended his official testimony, explaining that the meeting was normal for a member of the Senate Armed Services Committee.